When it comes to our summer wardrobe, there’s a clear MVP among everything else: the wear-everywhere dress. The right one is lightweight enough for those unbearably humid days yet chic enough to still make you feel put together. Here are five terrific styles to get you through the rest of the season. Many a fashionista’s secret weapon, the slip dress can go from daytime casual to evening glam in an instant. Ruffles plus florals in a timeless wrap style? Yes, please. Stay cool from the farmers market to the art gallery in a graphic striped number. 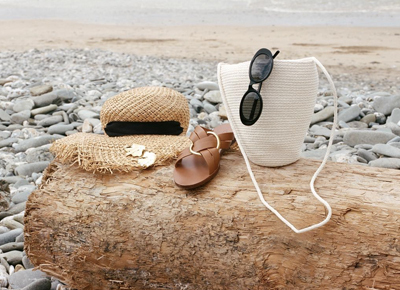 Perfect for beachcombing, vineyard hopping and everything in between. Never underestimate the power of buttons to make you feel put together.